Travel is an all encompassing, multi-sense experience, packed full of sights, sounds, smells, and most importantly… tastes. These 9 American cities are not only travel-musts, but also culinary delights. Signature foods of American cities are rooted deep in history, and have become integral to both the tourist experience and the residential lifestyle of each town. So sit down, tuck in, and loosen your belt — we’re going to get all of the mouth-waterin’, lip-smackin’ goodness we can out of these iconic American cities. What It Is: Pizza baked in a round, steel pan, creating a literal pizza pie. It’s like pizza soup in a bowl of pizza crust. Prepare to happily drown in mozzarella and tomatoes. 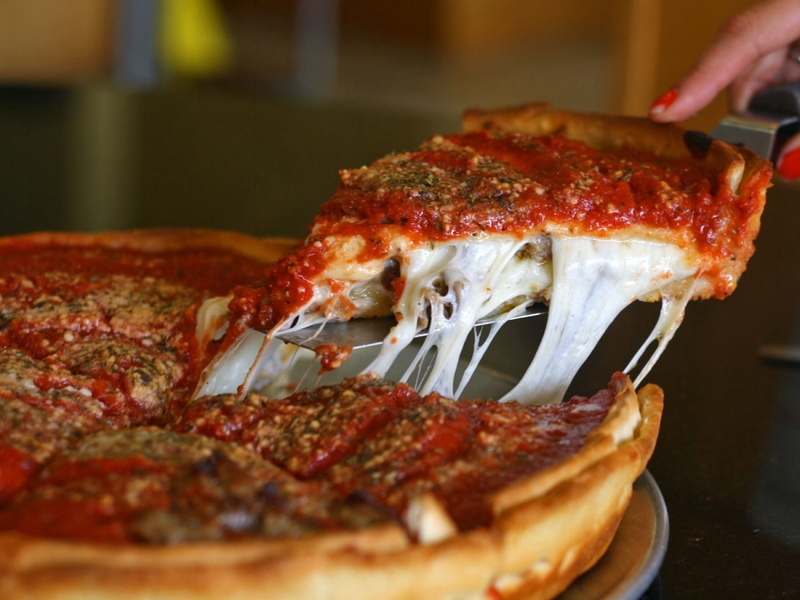 History: Developed in 1943 by Ike Sewell, the founder of Pizzeria Uno, deep-dish pizza has become the iconic dish of the Windy City. The literal depth of this food makes it the most extreme pizza you’ll ever encounter, at 2-3 inches tall and cooked for an hour. The pizza’s toppings are assembled upside-down, with the cheese put down as the first layer, the sauce spread on the very top, and veggies, meats, etc. in the middle if you wish. This is done in order to keep the cheese from burning during the long baking time. If you’re looking for the real deal, the original venue still exists, but has since changed its name to “Uno Pizzeria & Grill,” or more commonly “Uno’s,” and the company has expanded beyond Chicago to 24 different states. Fun Fact: The founders of Pizzeria Uno’s were originally going to open a Mexican Restaurant – after just one bite you’ll be glad they scrapped that plan! What It Is: Ham, pork, Swiss cheese, and pickles on Cuban bread. The addition of salami is hot-hot-hotly debated. History: America’s known as the melting pot — how fitting considering the delicious foods that immigration has brought to the States! In the 1800s Cuba’s economic unrest caused an surge of Cuban immigration to Florida, creating a unique mix of cultures and bringing a lot of delicious recipes. 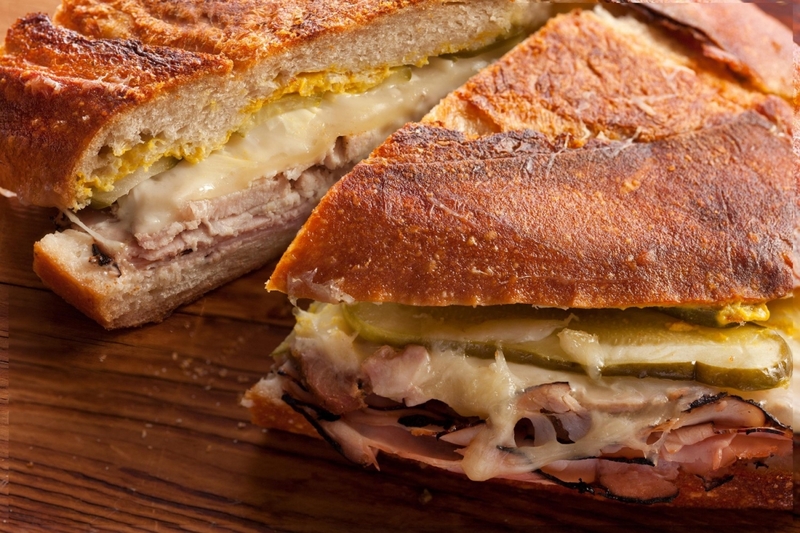 The many-meated Cuban sandwich was among these said recipes, and it was frequently snacked on by blue collar workers after long days of physical labor. Expatriots from the Cuban revolution settled in Miami in the 1950s, further popularizing the dish — by the 1960s the Cuban sandwich was available all over the city. Today you can find the sandwich at markets, restaurants, diners, and food carts throughout Miami! Fun Fact: A smaller version of this sandwich, served on challah-like bread, is called the midnight sandwich because of its popularity as a drunk munchie at Havana night clubs. What It Is: What fuels your morning. History: Just one day in the cold and dreary weather of Seattle will make you understand why this city is so obsessed with the steamy beverage. In the 60s and 70s the hippie counterculture, combined with this desire for warm drinks, caused coffee shops to pop up all around Seattle. In 1976 the first Starbucks opened in Pike Place Market, cementing the city’s place as coffee kingdom of America. Since then Seattle has become home to several other big coffee roasters, while still keeping its vibrant and active coffee shop culture. 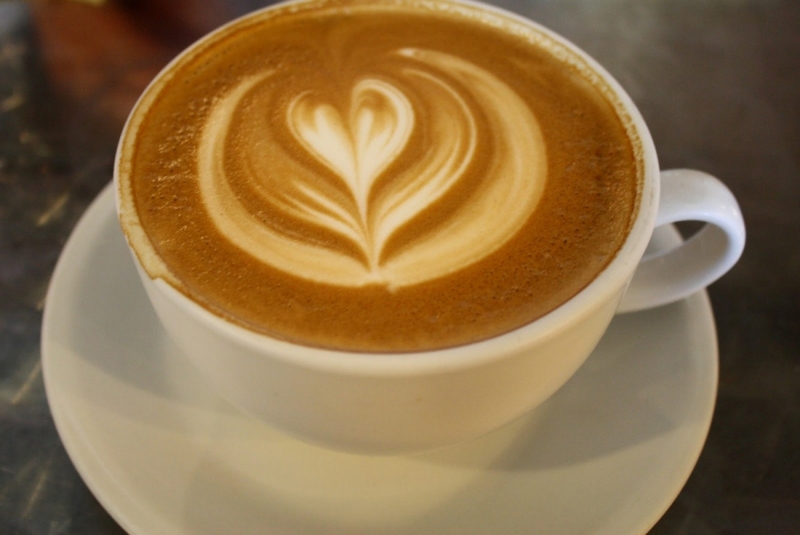 Today Seattle residents consume more coffee than those of any other American city, spending an average of $36 a month on the beverage. Fun Fact: The effects of coffee bean’s caffeine were first discovered in Ethiopia when a farmer found his goats jumping about, unable to sleep, after eating the fruit off of a certain tree. This tree was — you guessed it — a coffee bean tree, or coffea. What It Is: Rice, raw fish, and seaweed. History: Sushi originated over 1,000 years ago in Japan, where it was initially made for the wealthy upper class. However, in the 1960s, Los Angeles became the first American city to popularize the fishy dish. The food was initially commercially successful due to the high population of Japanese businessmen in the California area, and the tasty treat quickly spread to their American colleagues. 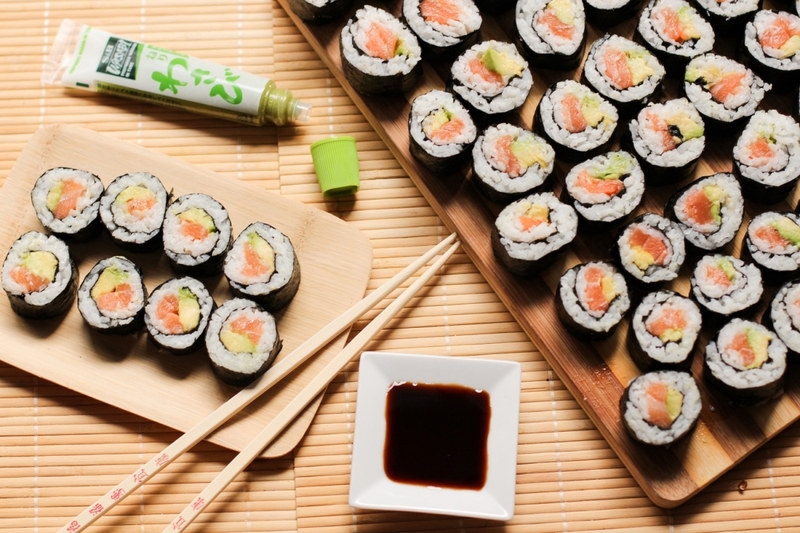 By the 1970s sushi had become a trendy dish for Hollywood celebrities and elites. Since then sushi has become popular all across the U.S. and is now a common favorite; however, Los Angeles still has a special place in any sushi lover’s heart. Fun Fact: When sushi was first becoming popular, chefs had to undergo almost 10 years of training before they could work in a restaurant; but today the demand for these specialized chefs is so high that most training only lasts 2 years. What It Is: Salty bread with a twist. History: Legend has it that these tasty morsels were originally made by monks for their students, and that the shape of the pretzel symbolized arms in prayer, with the three holes representing the Holy Trinity. However, it wasn’t until over 1,000 years after these monks that the first American commercial pretzel shop was founded in Pennsylvania. Street vendors quickly caught on to the trend, and many began selling the treats with mustard, because they already had it in their carts for their hot dogs. Soft pretzel vendors are still abundant in Philly, and the twists are a popular snack for everyone from schoolchildren to professionals on their lunch breaks. Fun Fact: The whole city is really into these salty treats. 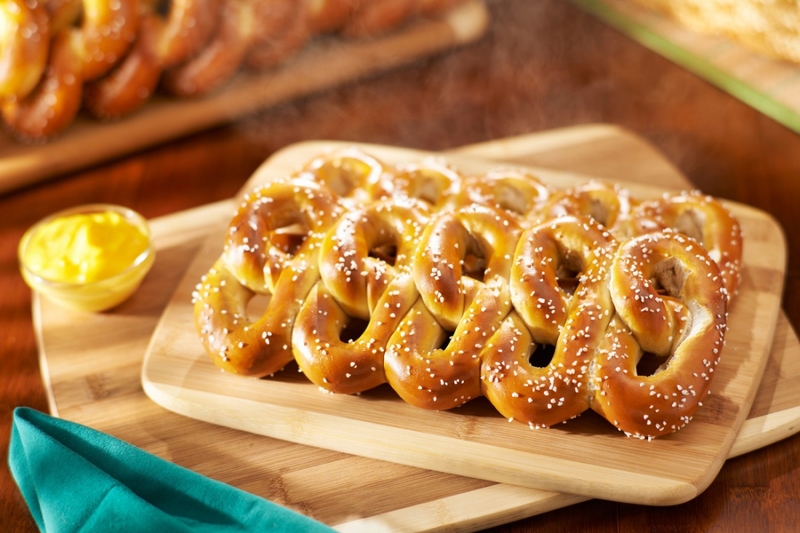 Philadelphians eat 12 times as many pretzels as the average American, and in 2003 Pennsylvania Governor Ed Rendell declared April 26 National Soft Pretzel Day. What It Is: A stew made with meat or seafood, celery, bell peppers, and onions, and typically thickened with okra (an African vegetable), file powder (powdered sassafras leaves), or roux (a flour and fat combination). Served over rice. 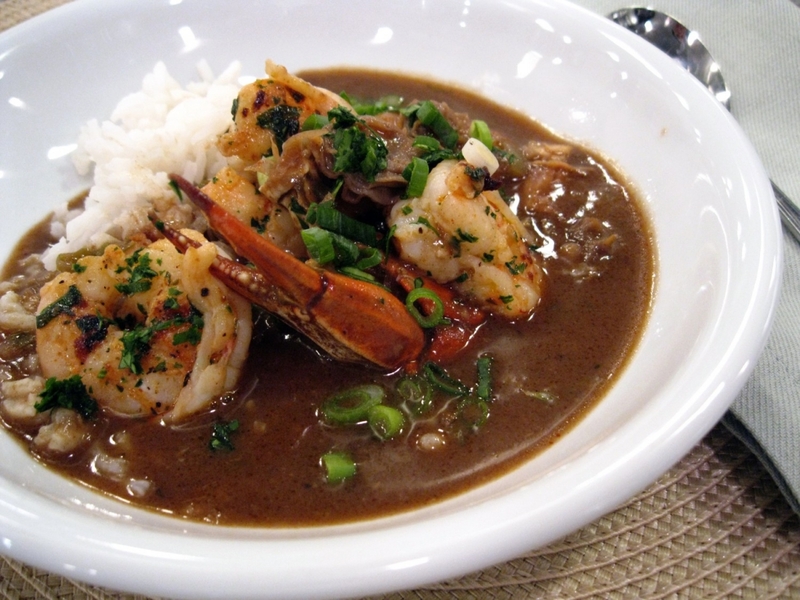 History: Many see gumbo as the ultimate symbol of culture mixing in New Orleans, as it has roots in French, African, and Native American cuisine, and serves as a meal for both the poor and the wealthy. The ingredients in the dish vary greatly from cook to cook, however it is this flexibility of the recipe that makes it so universally made and loved. Fun Fact: Local legend claims that in the 1722 Frying Pan Revolt, French colonists protested against their limited and unfamiliar food options in the New World. When they stormed to the Governor’s house, the housekeeper pacified them by demonstrating how to use these ingredients to make gumbo. What It Is: A thick, milk or cream based chowder containing potatoes, onion, and clams, and usually served with oyster crackers. Tomatoes are not allowed. 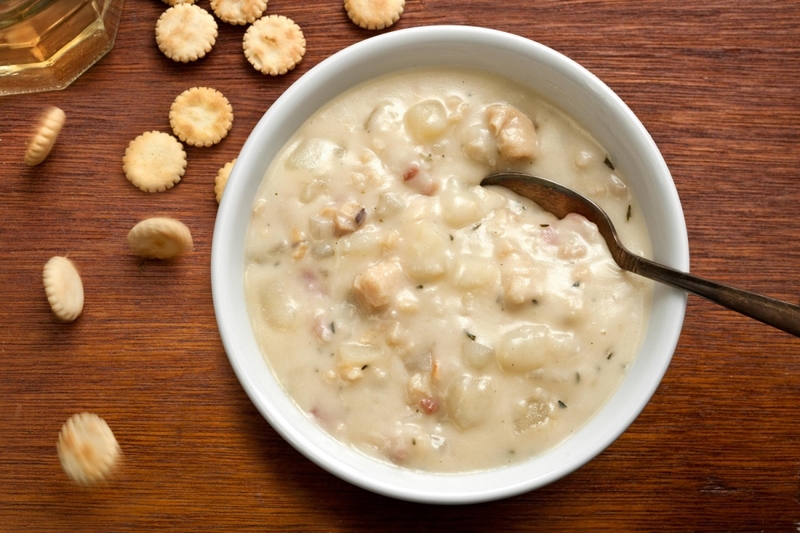 History: Seafood chowder originated in areas of France and England surrounding the English Channel, and was most likely brought over to America by Pilgrims in the 1600s. It was in the northeast, where clams were so abundant that Native Americans used them as currency, that clams became the most popular base ingredient for chowder. Many regional variations of clam chowder have emerged since then, but New England Clam Chowder, sometimes referred to as Boston Clam Chowder, is easily the most well known variety. Fun Fact: In 1939 the Northeast’s obsession with this stew became so intense that Maine introduced a bill to outlaw adding tomatoes into clam chowder. History: Seemingly the most obvious pick on the list, the Denver omelet actually has the least to with its namesake city. No one is quite sure where this diner staple got its name, but the title has been around since the 19th century. 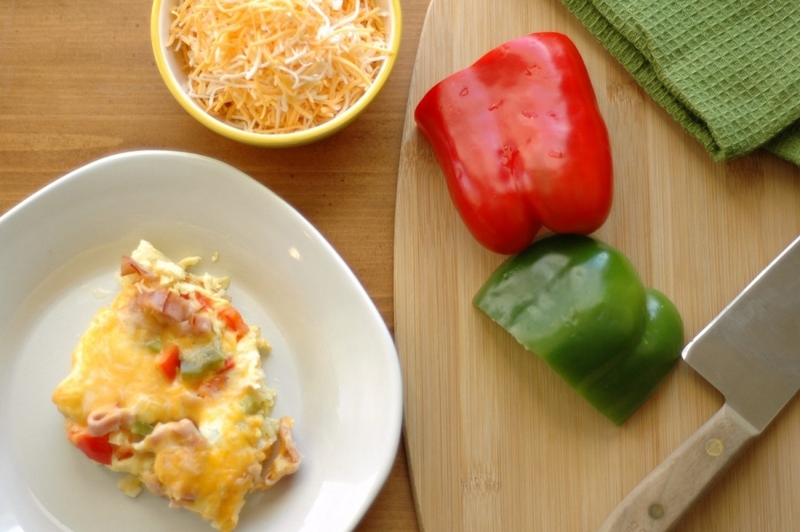 Historians suspect that the original Denver omelet was served between two pieces of bread as a sandwich, in order to make it easier to eat and more portable. There are two popular origin theories for the meal: The first speculates that the dish was intended to fuel cowboys on cattle drives across the West. The second is that the snack was a variation on egg foo yong, created by Chinese cooks for workers who were building the Transcontinental Railroad. Fun Fact: Also called a Western omelet. What It Is: A roll with a hole. The dough is boiled, then baked, in order to create a crusty outside and fluffy innards. History: Originally crafted in Poland in the 1600s, bagels were brought to New York by Jewish immigrants in the early 20th Century. In 1907, a union of bagel bakers was founded on the Lower East Side in order to protect the workers, as well as to protect the secrets of bagel making. In 1956, a family of bakers, the Lenders, realized that this carbohydrate could be frozen and transported without losing any flavor, a discovery that completely revolutionized the bagel industry, making the breakfast bread easily accessible and commercially successful. 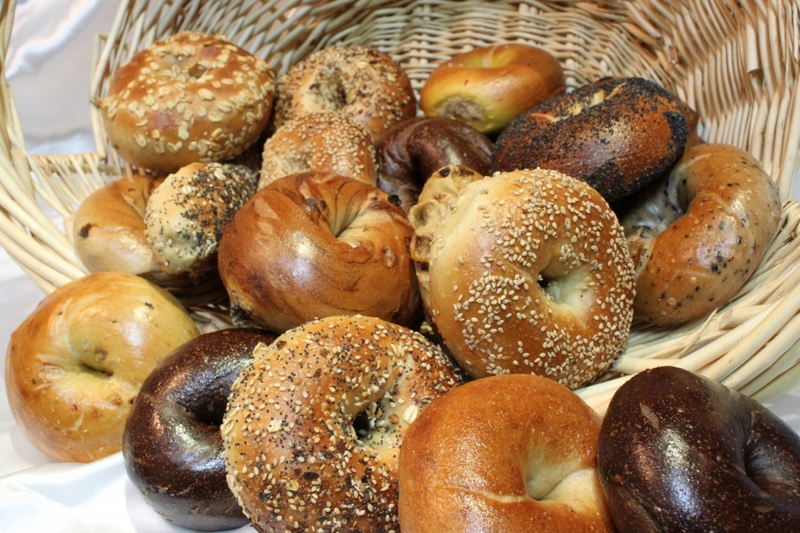 Although bagels have become available in almost every grocery store across America, New York City is still heralded as the bagel capital of America. Fun Fact: It’s rumored that New York bagels are better than any others because of the unique taste of tap water in New York City.